Downtown Duluth is currently undergoing a historic transformation with the reconstruction of Superior Street. Over the span of three construction seasons, segments of Superior Street will be carefully revitalized with improved utilities providing reliable services to current and future generations of customers and beautified streetscapes with inviting common public spaces. 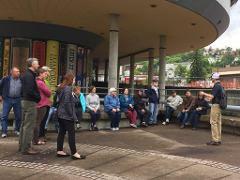 This walking tour is designed to provide information about the reconstruction project and showcase stories from Downtown Duluth's rich past. In 2019, this tour will cover Superior Street from Lake Avenue to 4th Avenue East. The meeting location is in the Technology Center lobby, located at 11 East Superior Street. 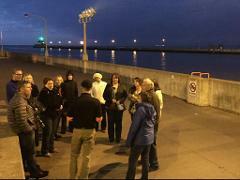 Please Note: This is a free tour developed and guided by The Duluth Experience with funding provided by The City of Duluth and in collaboration with Zenith City Press. Although this is a free tour, group size is limited to 14 guests and pre-registration is required. 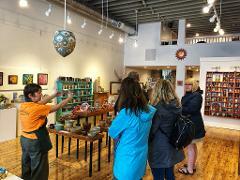 Step into Duluth’s vibrant craft scene and meet the roasters, artisans, restauranteurs, and brewers breathing fresh energy into the ongoing legacy of Duluth’s HART District. This behind-the-scenes experience is a guided walking tour through the history and future of the Historic Arts & Theater (HART) District – a nexus for performing, visual, and culinary arts. 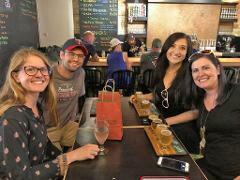 You'll visit Duluth Coffee Company, Zeitgeist Cafe, The NorShor Theatre, and Blacklist Brewing.